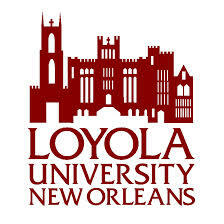 In 1904, the long-planned Loyola College, together with a preparatory academy, opened its doors. First classes were held in a residence located to the rear of the church on what is now Marquette Place. The first president was the Rev. Albert Biever, S.J., who was appointed by the provincial, Rev. William Power, S.J.